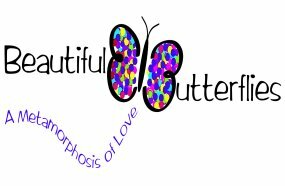 ..::Beautiful Butterflies-Lupus Awareness Month Facts::.. There are generally four recognized forms or types of lupus: Cutaneous (skin) Lupus Erythematosus, Systemic Lupus Erythematosus, Drug-induced Erythematosus and Neonatal Lupus. Lupus Awareness Month - Get in the know! May is Lupus Awareness Month! This time is designated to educate the general public about this often unknown and misunderstood disease. Lupus is difficult to diagnose because its symptoms come and go, mimic those of other diseases, and there is no single laboratory test that can definitively identify the illness. Women of color are two to three times more at risk for lupus than Caucasians. 1 in 250 African American women will be diagnosed with lupus. More than 90% of lupus sufferers are women, mostly young women between the ages of 15 to 44. You can’t catch Lupus from another person. It isn’t cancer, and it isn’t related to AIDS. 1 in 4 are either temporarily or permanently disabled by the disease. Only 31 % of adults are employed full time. Lupus is more common than cystic fibrosis, leukemia, muscular dystrophy, and multiple sclerosis…..combined!